Montreal is one of Canada's most unique and vibrant cities, so why waste a single minute? Don't fall into these tourist traps: learn what NOT to do when you're in Montreal. No doubt, Old Montreal is the biggest draw to the city of Montreal, but not getting around to visit the city's other diverse and vibrant neighborhoods is a mistake. The Plateau is a hip and happening residential part of town with great shopping and restaurants. Griffintown is a historic part of town once populated by Irish immigrants, but today ​is better known as a haven for artists and musicians. Exploring and enjoying the food in Montreal is a huge part of visiting this city. Be kind to your taste buds and your pocketbook: don't miss visiting a ​local market for inexpensive, fresh, and delicious meals. Most local markets will feature a bakery, ethnic foods, specialty shops and more. The controversy surrounding this rich, buttery tasting dish, in which the liver of a goose or duck is specially fattened to up to 10x its usual size, is the pain and suffering caused to the bird when a gavage (feeding tube) is forced into its esophagus to deliver an unnatural amount of feed. If you at least educate yourself about this French delicacy, you can make an informed decision about ordering it. Some restaurants may offer an "ethical" version in which the birds instinctively stuff themselves before migration season. Though the Olympic Stadium is an interesting architectural feat - the unique circular design with its inclined tower rising up and out like a wary dog's tail is the work of French architect Roger Taillibert - it has been plagued by structural and financial problems and is greatly underused. Unless you're an avid architecture or Olympic enthusiast, skip the tour and just poke your head inside for a look around. If you're lucky, you'll catch the high divers practicing. Much more worth your time and money is the neighboring Montreal Biodome and other facilities that comprise Space for Life, Canada's largest natural sciences museum complex. Though the whale watching adventure with Croisières AML in Tadoussac is wonderful, their daytime maritime excursion from Montreal's Old Port is lackluster. Unlike Old Quebec City, which sits high up on the Saint Lawrence River, Montreal does not make a particularly interesting study from the water. The 90-minute cruise heads down the St. Lawrence River and, though it offers historical commentary by a guide in period clothing, the pace of the excursion is slow with sights too few and far between. 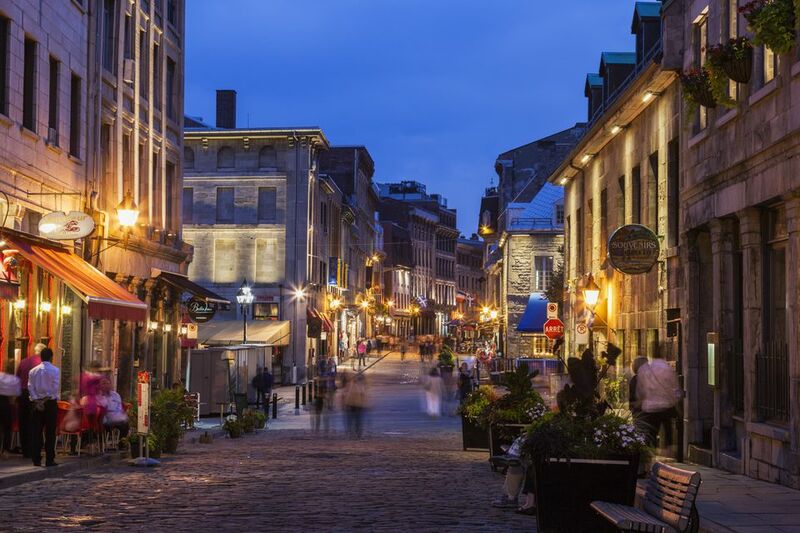 Old Montreal is the city's biggest tourist draw and as such, bears a disproportionate number of overpriced restaurants that look perfectly quaint on the outside but lack innate charm and quality. Ironically, many of the restaurants that market themselves as "authentic" or "French" are the offenders. Often, these restaurants will advertise typical Quebec food, such as poutine or steak frites. If you are going to Old Montreal and want a good meal, research before you go online at popular peer to peer foodie sites, like Chowhound or Urban Spoon. Up to five children aged 11 and under ride the Montreal transit system (metro and buses) for free on weekends when accompanied by an adult with a valid transit fare. This offer applies from Friday at 6 p.m. to Sunday at 11:59 p.m. and on legal holidays. The program is also in effect during certain school breaks. It looks romantic, but the charm of a horse-drawn carriage ride (calèche) through Old Montreal quickly fades when you realize the condition many of the horses live in and how overworked they are, often in sweltering conditions during the tourist-driven summer season. In fact, a city bylaw to keep horses off the streets once temperatures exceed 30°C is regularly ignored. Cities including Toronto and Paris have banned this antiquated (and expensive) tourist practice. Old Montreal is best explored by foot—and it's free. If you're looking for a late-night party scene, Crescent Street (Rue Crescent) is the place to go; if you are more interested in a good night's sleep, you may want to explore hotel options anywhere but on this nightlife strip. Crescent Street does boast several good restaurants (including excellent fast Lebanese food at Boustan) and boutiques, so don't necessarily miss it altogether. Lots of good hotels are within walking distance. It's everywhere in Montreal and quite frankly, though it's delicious, the maple syrup at an Old Montreal specialty boutique is no better (but likely more expensive) than maple syrup you buy at the grocery store. The most fun way to buy maple syrup is to go straight to the source and visit a sugar shack, where you can sample some of the sticky specialty with typical Quebecois foods. Otherwise, just head to your nearest supermarket or Costco.